So much was packed into this small square building: lots of branded merchandise for sale, two big trolleys and a couple of smiling faces. Her laughter drew me back to reality and into our conversation about this unique way to get around town. As I stepped through the threshold of Sunrise Pedal Trolley my eyes got big as I scanned the larger than life trolleys. 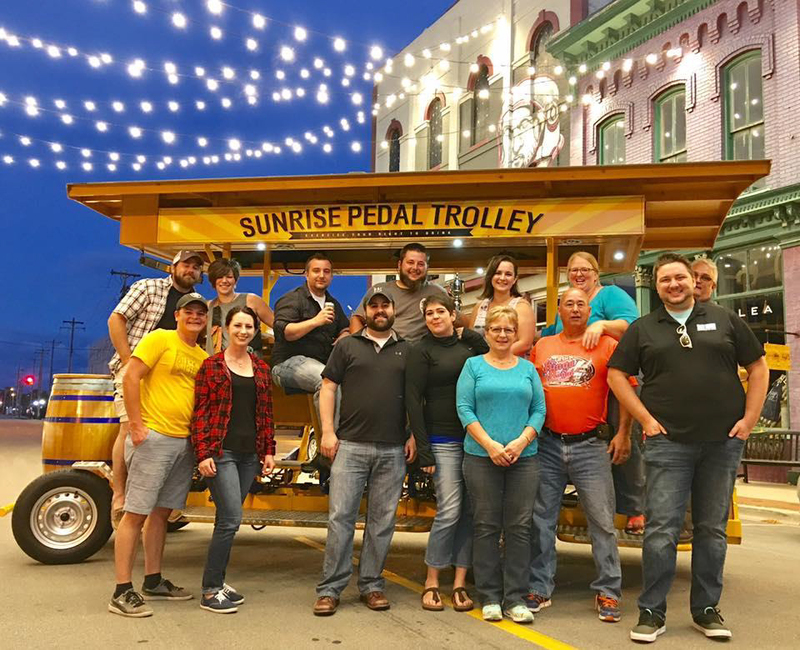 Ashley Anderson, owner of Sunrise Pedal Trolleys and the local Two Men and a Truck, made a comment about the trolleys being bigger than what most people expect and laughed at the look of surprise on my face. So much was packed into this small square building: lots of branded merchandise for sale, two big trolleys and a couple of smiling faces. Her laughter drew me back to reality and into our conversation about this unique way to get around town. Jumping into new endeavors and being a part of businesses where “everyone is happy” is what Ashley Anderson is all about. Last year, she invested in a new six seater option for smaller groups interested in the trolley. 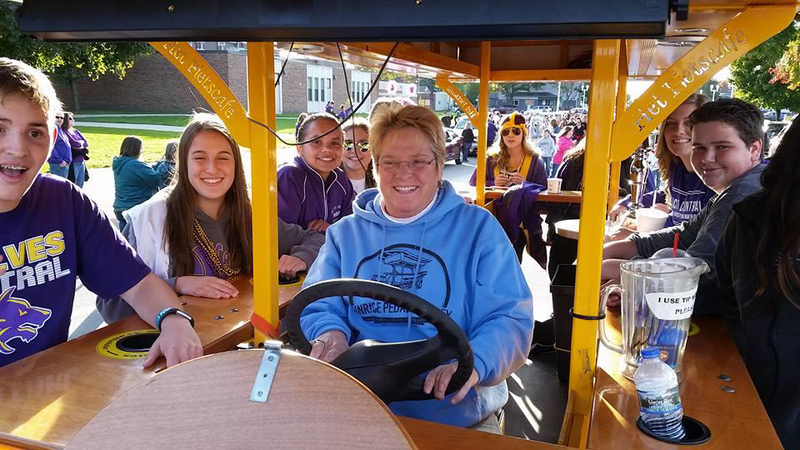 The Circle Cruiser, as it is named, came about through a Facebook contest Ashley held within the community. It only takes a few minutes with her to see that her love for life and adventure radiates out of her. 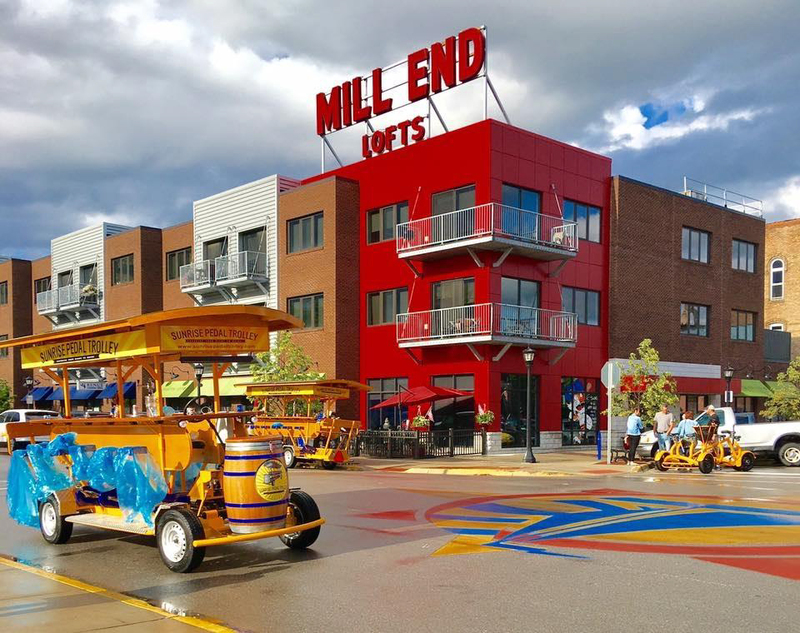 When asked “What’s next?” Ashley said that opening another location in the future is possible, but it’s more important to “take care of what you have at home first.” Another Pedal Trolley may be on its way for our enjoyment here in Bay City, and until then, lets continue to enjoy this beautiful attraction, one we are lucky to have here in our beautiful Downtown.